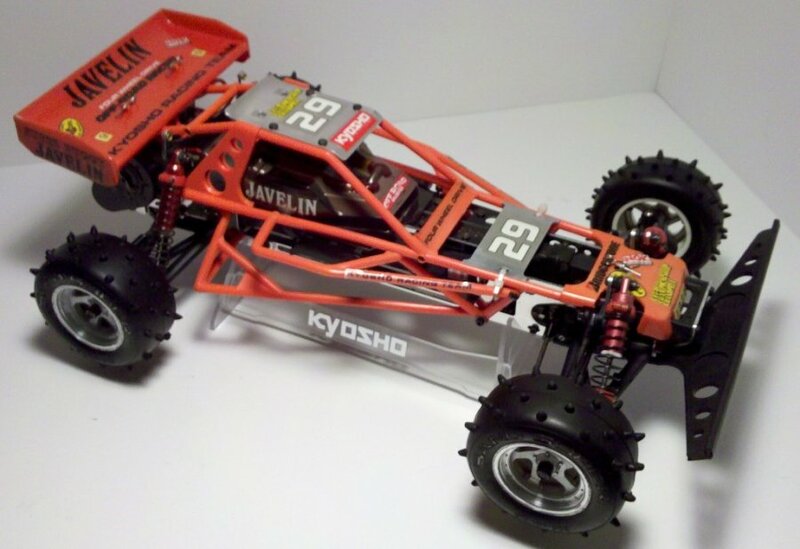 This model is proudly owned by Mike bouchard. 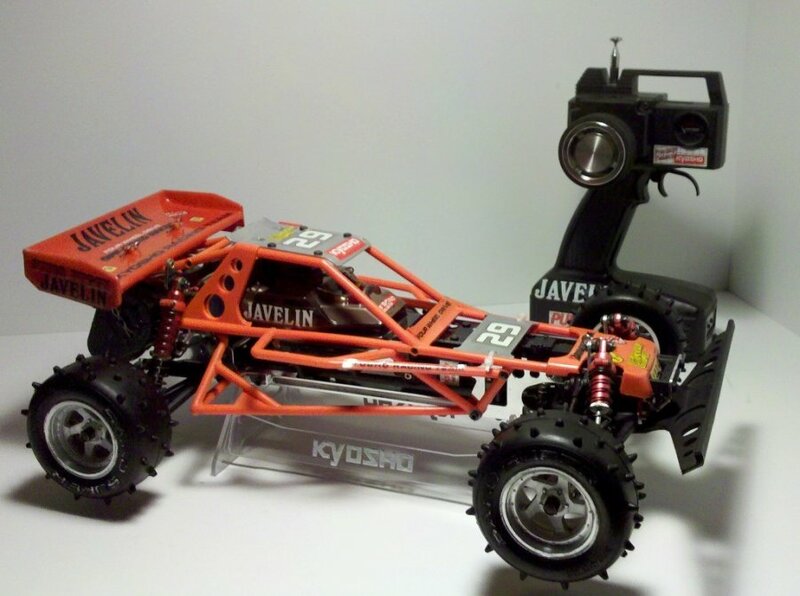 Kyosho Javelin’s in this condition are rare. 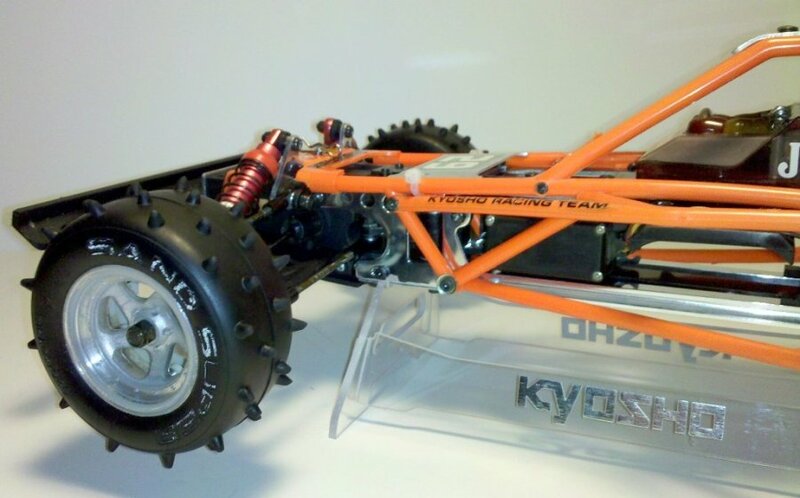 This is one of Kyosho’s 4WD buggies with a Chain Drive. 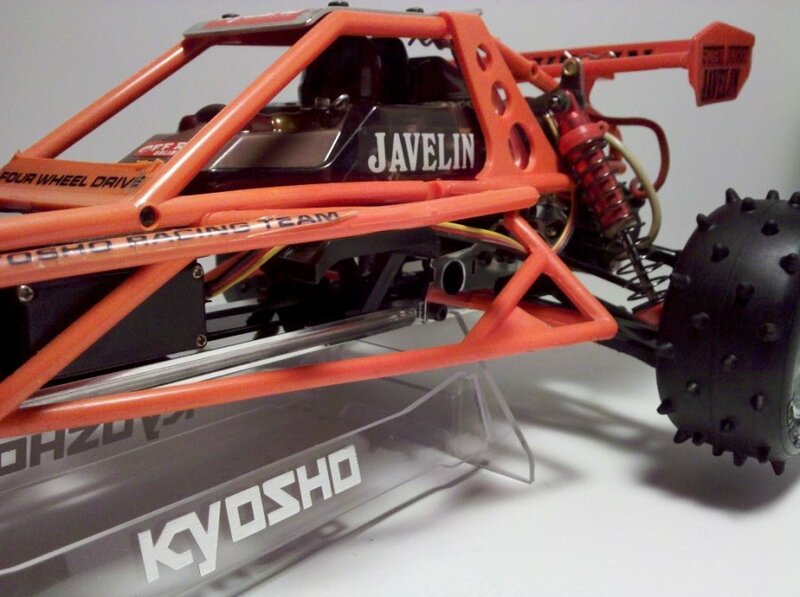 During the mid 1980’s, Kyosho was leading the R/C movement with many 4WD Chain Driven models. 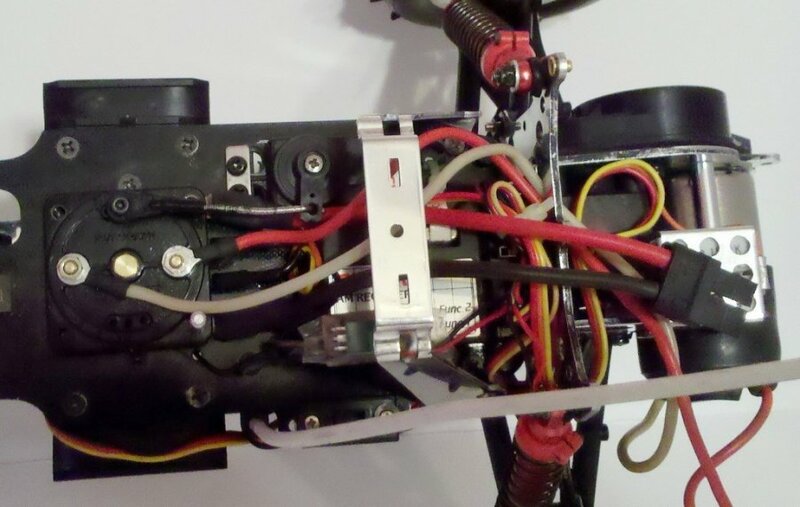 Both electric and Nitro models were availabel with the Chain Drive, and they all suffered similar drawbacks to the system. 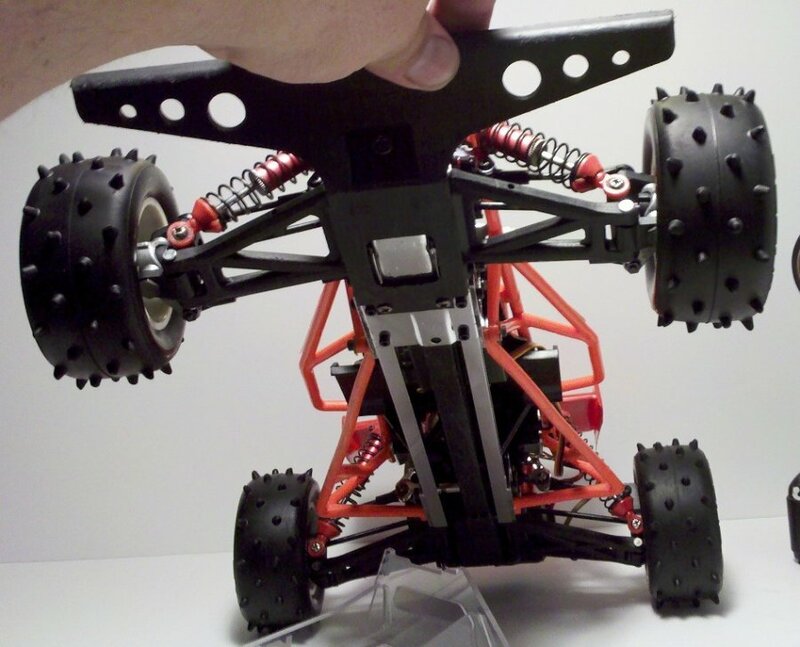 For one, the tensioning system was inadequate. 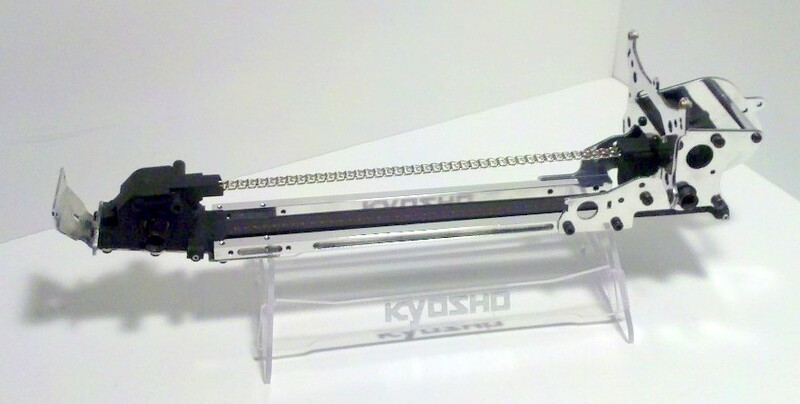 For two, the chain was notorious for catching rocks and other debris while running. 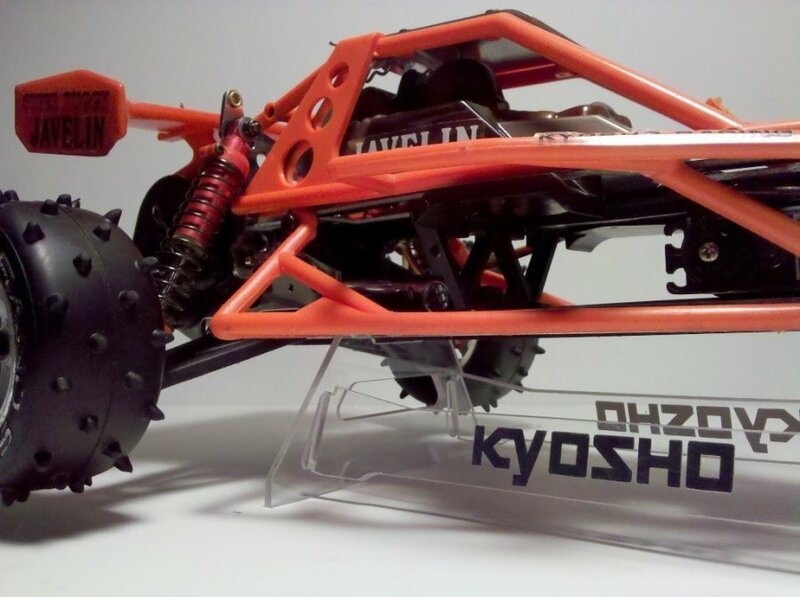 With so much metal and a nice technical look, this makes for a beautiful model for display. 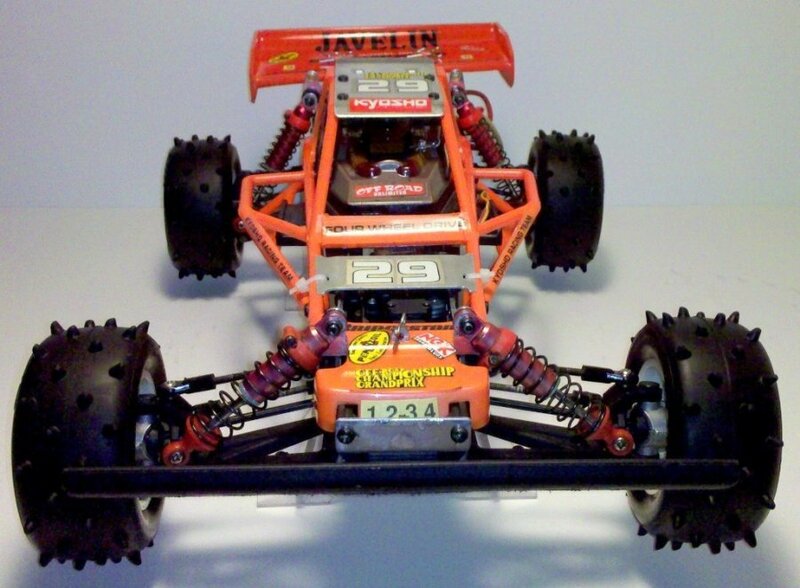 Released in 1985, this model is based on the Optima 4WD buggy. 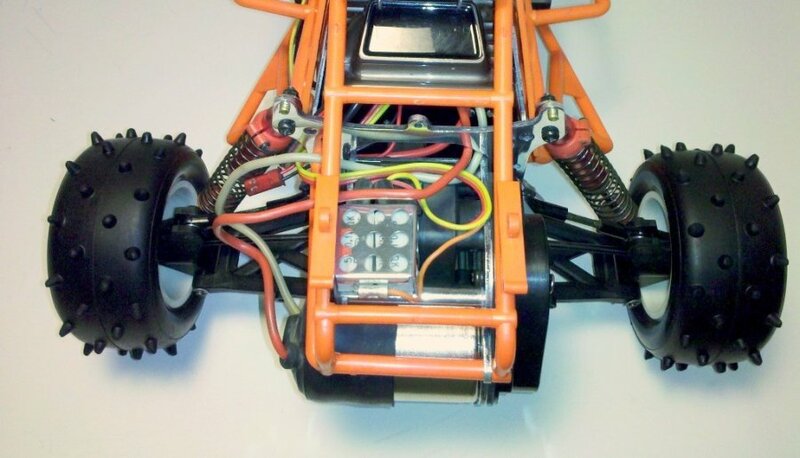 The main difference is the Roll Cage which replaced the standard Lexan body. This lends a very realistic look to the already astonishing Optima platform. Performance may have been a bit weak, but on the shelf this is a winner for sure! Thanks to Mike Bouchard for this stunning photo gallery! This photo gallery was contributed by Mike Bouchard on June 14, 2011.